work. 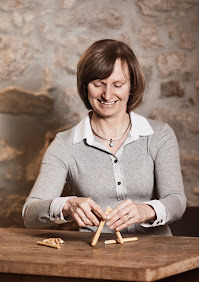 While father and son (Bernard and Guy) are responsible for the kitchen, mother and daughter (Ruth and Nathalie) are in charge of the service and other chores, the oldest daughter is even one of the best sommeliers in Switzerland! 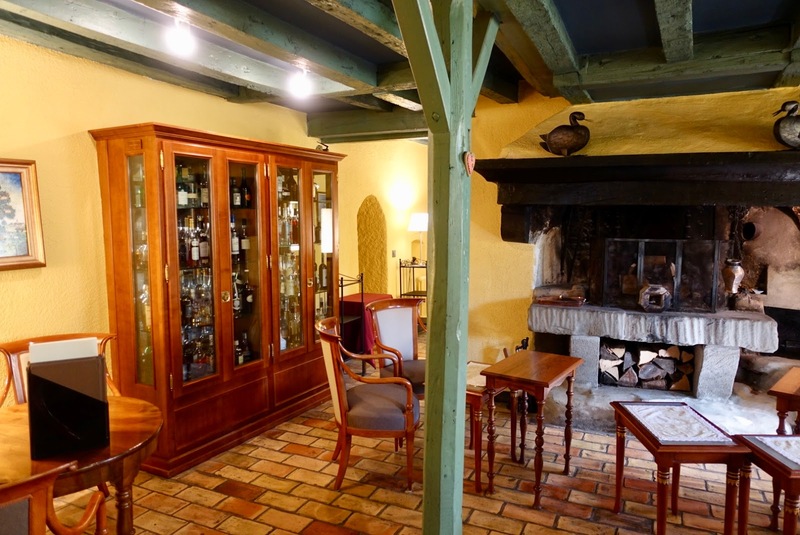 Bernard Ravet, orginally from the Bourgogne/France, has been running this country inn together with his wife since 1989. In the 2000’s, the children joined the business. Ermitage Ravet has been thriving for many years. 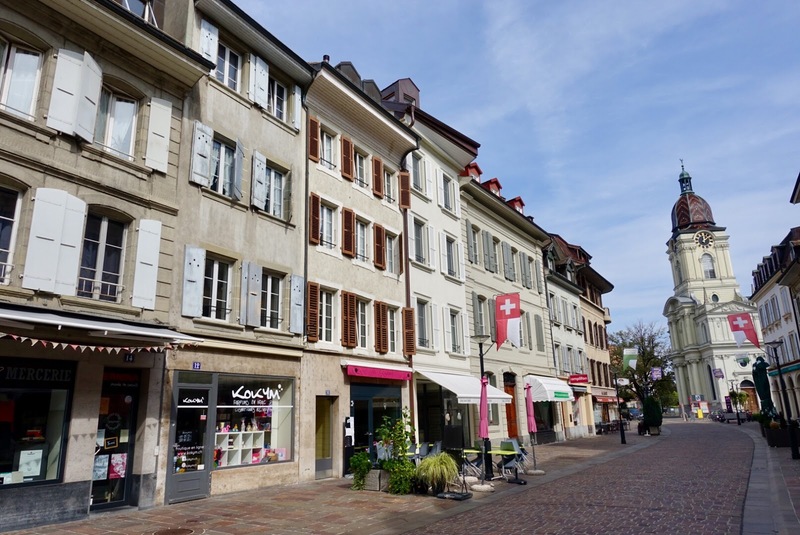 You can even say that it is one the more popular destination for foodies in the French-speaking part of Switzerland. 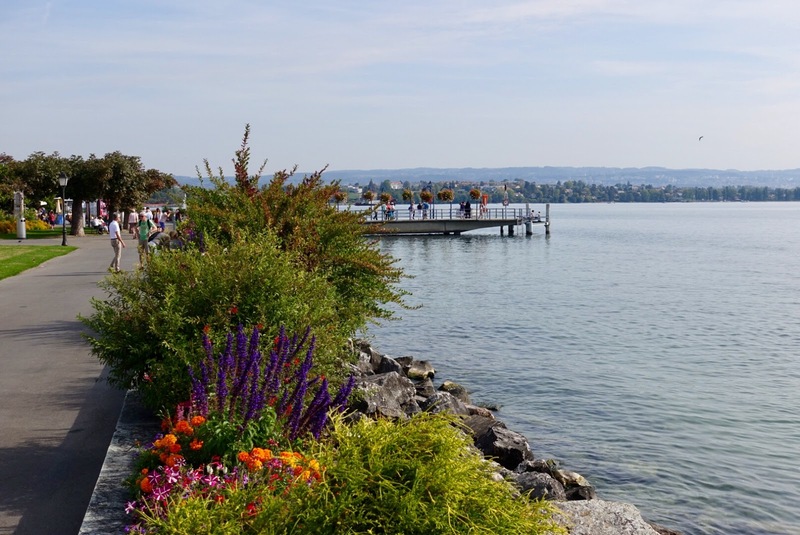 Special about this place is not only the fact that it is a family affair, but also that the two most important restaurant guides came to different conclusions regarding the restaurant’s performance. 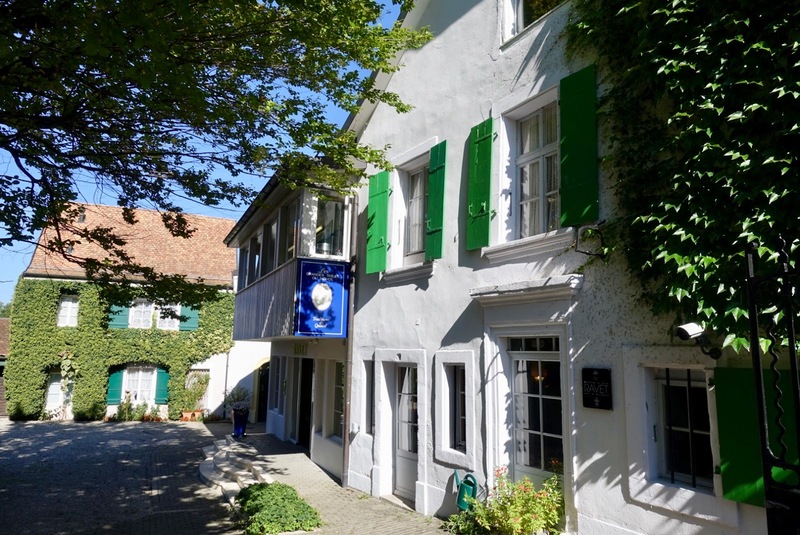 While Ermitage des Ravet was awarded 19 Gault Millau Points – there are only six restaurants in Switzerland with this top award –, the Michelin Guide gave it “only” one star! is a lovely medieval town. 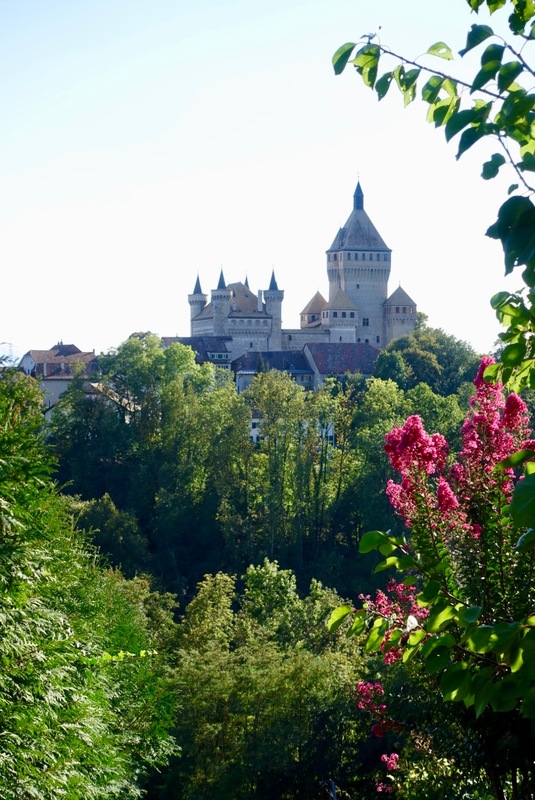 and is home of an impressive, privately owned castle. 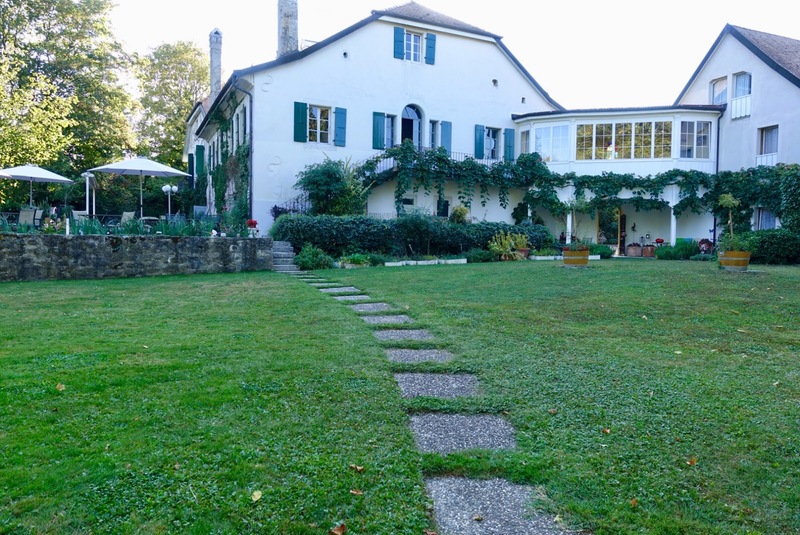 The property is a picture-perfect French country estate with a large main house and several annexes in an idyllic garden with duck ponds, lovely! However, there is no view of the lake from here. 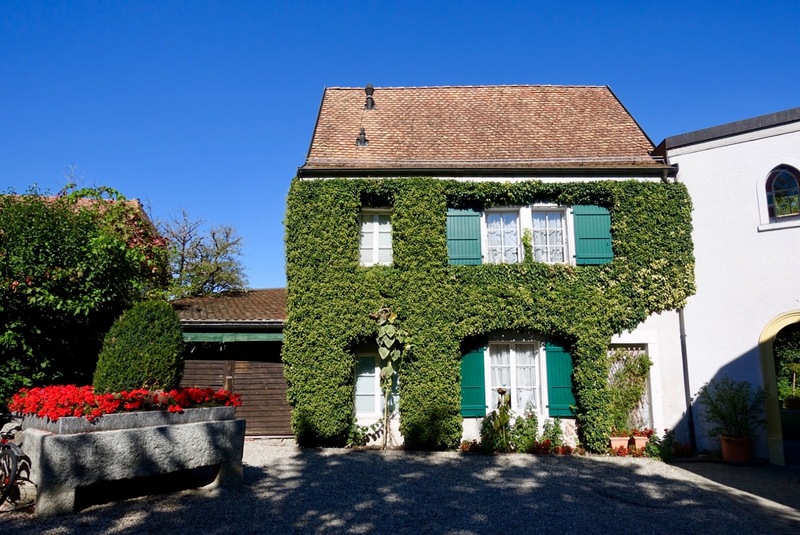 The place has a rural French feel, probably due to Bernard Ravet’s Burgundian roots. And you can well notice that restaurant and inn are run by a family that is not only well organized but live and work together in harmony. In the restaurant there is not one big dining-room, but several salons in varying sizes. This makes dining here an intimate matter. A few years ago, the premises received a gentle facelift. While the original character of the country estate was maintained, the salons received a touch of modernity. They were stripped of some superfluous knickknacks and are now kept in different shades of grey, I liked what I saw! 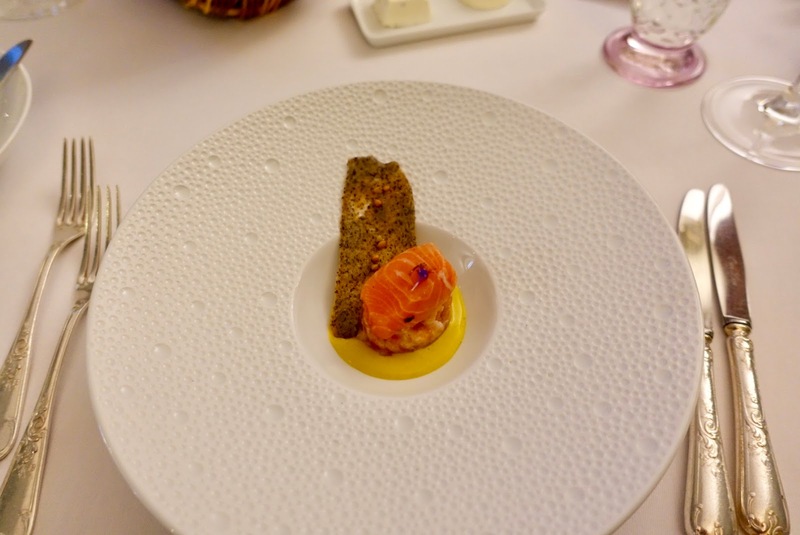 served together with an amuse bouche. 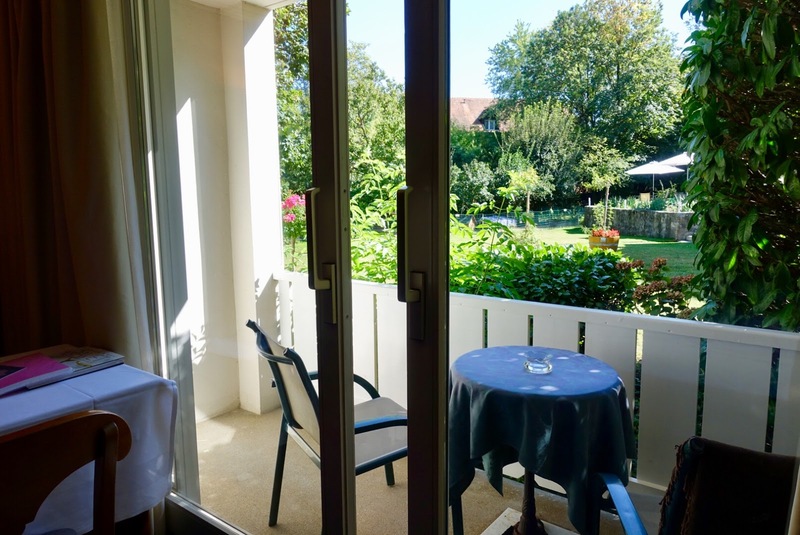 When the weather permits it, you can have the pre-dinner drinks also in the garden with view of the duck ponds. We were lucky enough to enjoy it that way! with a recently updated bathroom and a separate toilet including an additional sink. There is a small balcony with views of the garden. 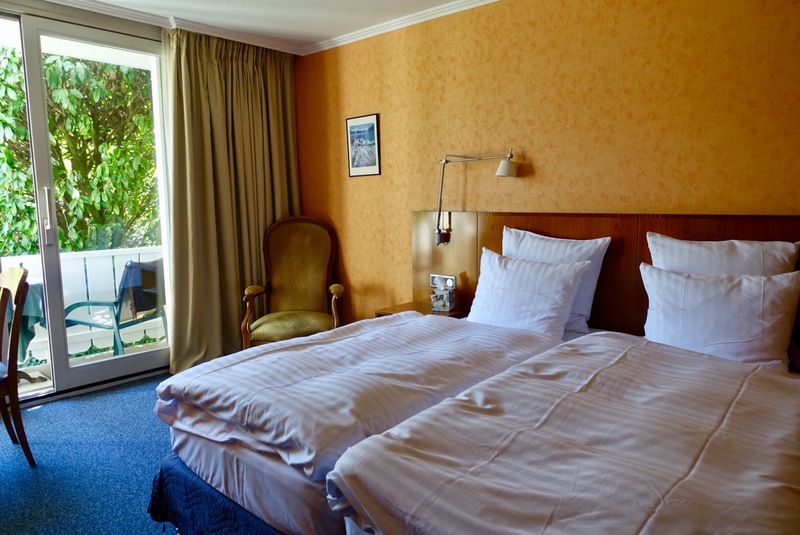 Included in the fair rate is a sumptuous continental breakfast that delivers everything you want plus a whole lot more! As mentioned before, the native Frenchman Bernard Ravet is in charge of the kitchen together with his son Guy. A I understand it, they work side-by-side. Guests should not notice who of them prepared their dishes although the senior chef is rather responsible for the fish and the junior chef for the meat. Quite often it is also shared work. 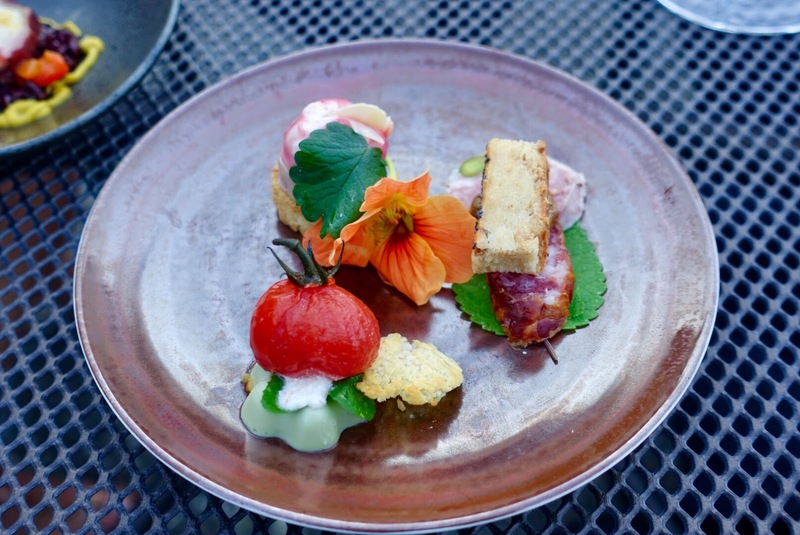 On offer here is classic cuisine with a contemporary twist every now and then. When dining here, you can choose between a four-course menu (Mille Plaisirs) or the eight-course menu (Passionata). With both menus you can choose entrecote from the wagyu beef as a main course for an additional charge. The meat stems from Kagoshima, is of the best quality available (A5) and is imported unfrozen from Japan. It is served without sauce so that its flavor comes to its full impact. As everyone from our party of four is not overly enthusiastic when it comes to beef fat, we gave the wagyu beef a pass. Instead we put our faith on my favorite ingredient, foie gras, that you can order in the smaller menu for an additional charge. One word to the wine list, which is the field of the eldest daughter, Nathalie. 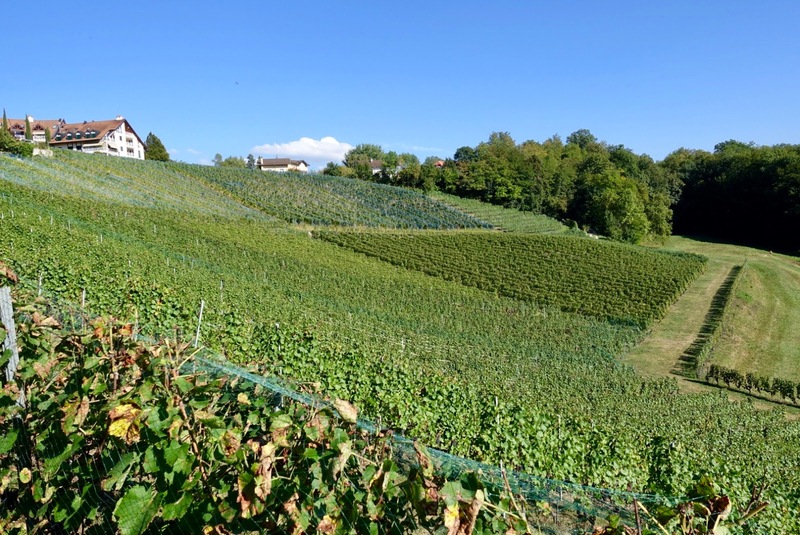 As mentioned, she is an exceptional sommelier and the wine list was even awarded as best one in a Swiss restaurant in 2018 by Gault Millau! 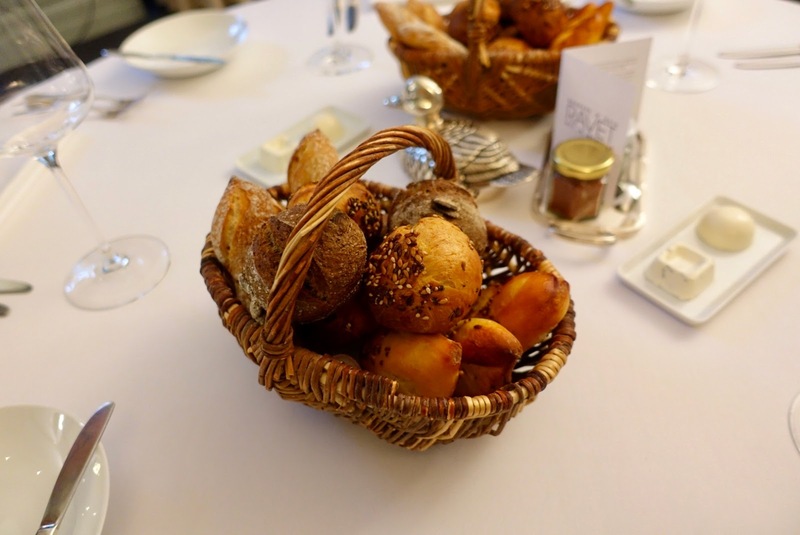 Before the feast began, two baskets with the most wonderful choice of bread I have had in a long time were brought to the table! From what I heard it is homemade by father and son. Most of times, Guy prepares the dough for it and Bernard does the finish. a fine start to a mouthwatering culinary experience that matches its reputation. 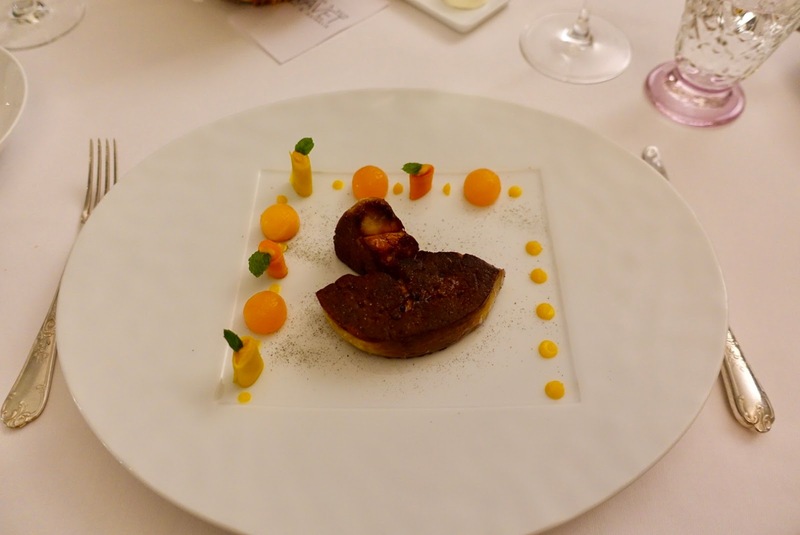 Second was the mentioned duck foie gras, made à la plancha (from the grill) and in combination with mint melon, carrot and cardamom. While the foie was of premium quality, prepared to perfection and of good serving size, I was not so much in favor of the texture of the garnishes. I would have liked more of the liquid ones for a better complement to the seared foie gras. was convincing as to the quality and flavor of the sides – the jus was extremely tasty –, I was a bit disappointed about the quality of the meat, which was a bit too fibrous for my taste. 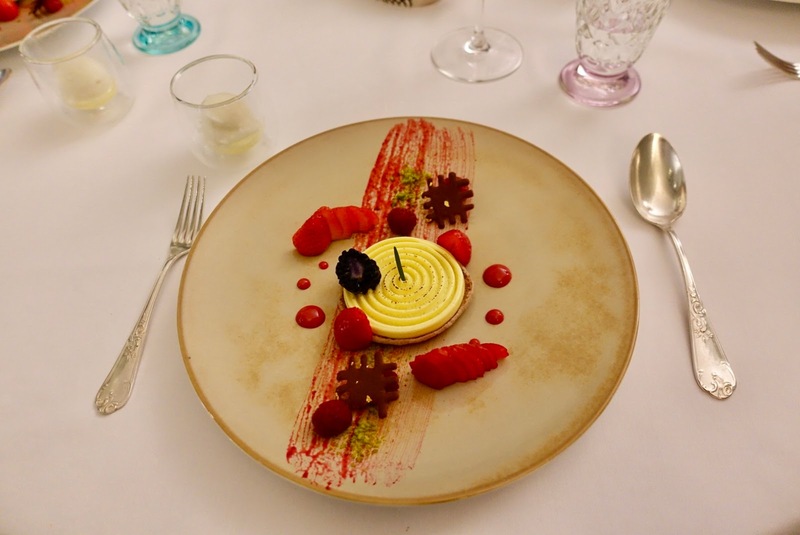 A source of joy was the dessert, a creme brulee aromatized with rosemary, paired with a lime and limoncello sorbet. Here a heartfelt hospitality is omnipresent. All important functions are in the hand of family members and performed with much dedication. From the four family members three of them were present, we did not catch sight of the junior chef, but most probably this was due to the fact that he was absent during our stay. Whereas the rates for lodging are reasonable, this cannot be claimed without reservation for dining. 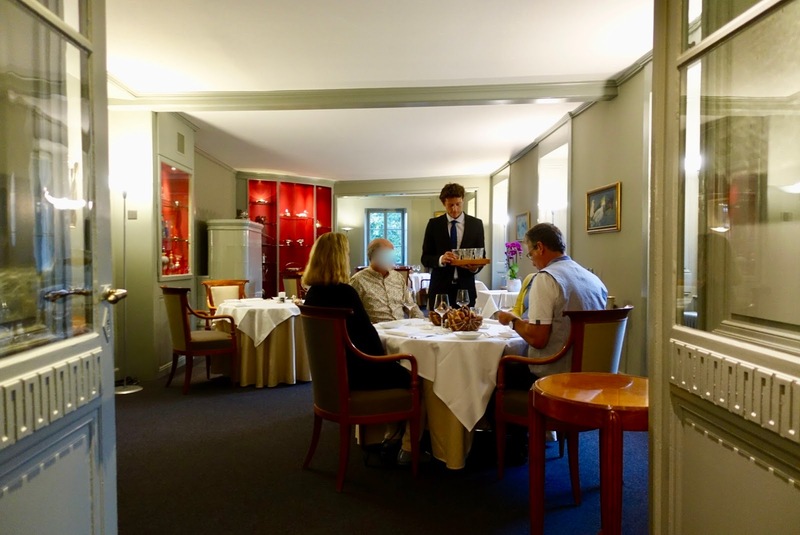 As you would expect it from an establishment like this, prices for menus are on the high side although competitive at first sight (eight courses 205 SFR, 4 courses 145 SFR). On closer inspection, however, additional charges for certain items catch your eye. 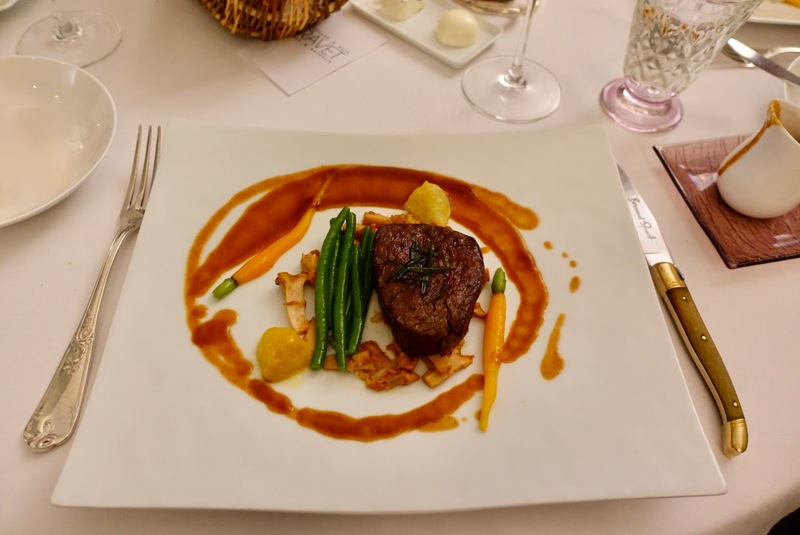 While I cannot judge the surcharge for wagyu beef (100 SFR small menu, 75 SFR big menu) as I am no expert in this field, the one for foie gras in the small menu (40 SFR) seemed high but acceptable. What I could absolutely not understand was the extra charge for replacing the fillet of beef with a red mullet. Believe it or not, but a change to a (not super-pricey) fish would have cost you 40 SFR! When we questioned this surcharge, we did not get a satisfactory reply. What a pity! 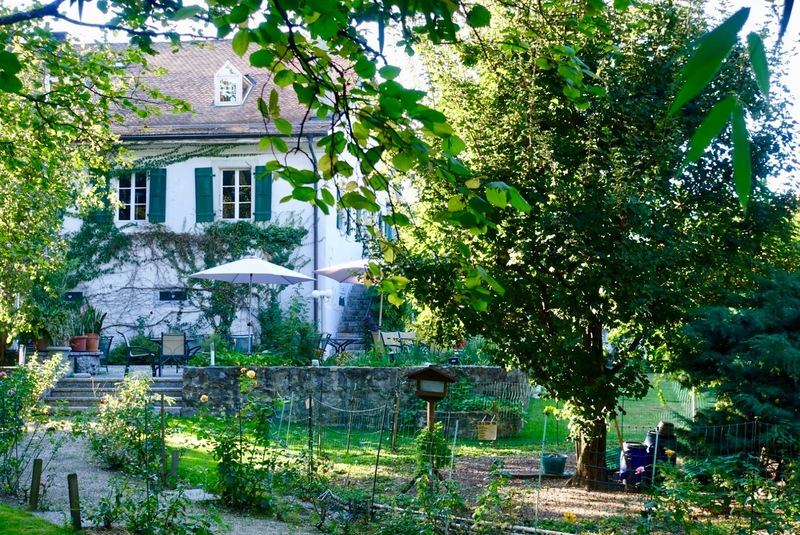 A gourmet weekend in the beautiful country estate of Ermitage des Ravets above Lake Geneva promises not only epicurean delights, but it is also a relaxing thing to do as the setting is splendid. You find exemplary hospitality here, four members of the Ravet family have key positions in the kitchen and service. 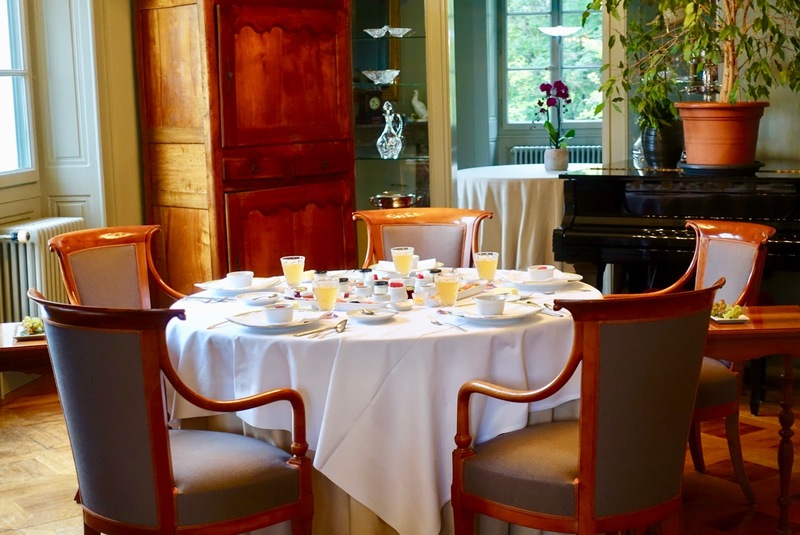 Classic French cuisine with an occasional modern twist is on offer. 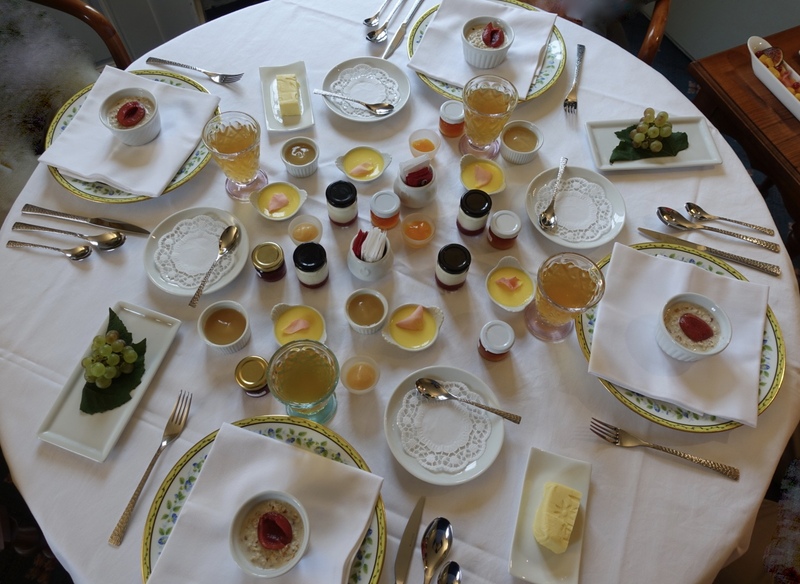 Culinary highlights are the wonderful homemade bread, the outstanding grilled foie gras and the gorgeously arranged breakfast.